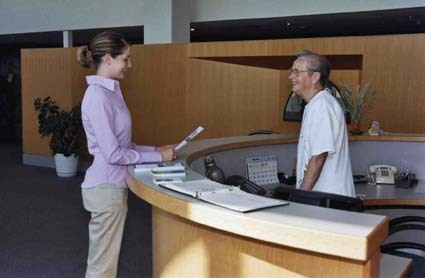 Whether you seek spiritual direction, a day of retreat or a peaceful setting for your meeting, we encourage you to consider our Hospitality Center. 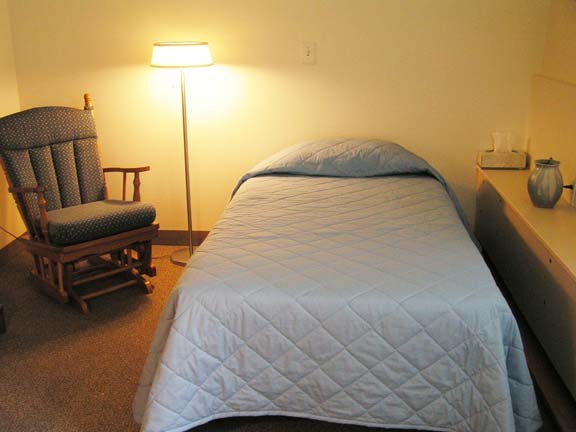 The Hospitality Center is an extension of Annunciation Monastery, a stable monastic praying community of women where persons of all faiths and traditions are received as Christ. Rooted in the Benedictine tradition we offer a place of hospitality, quiet, and prayer surrounded by natural beauty and peace where the spiritual life and wholeness of person can be fostered. This is our reception desk and gathering space just outside our chapel, where all are "received as Christ." 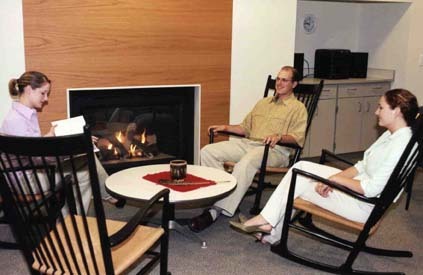 Groups enjoy rocking chairs by the fireplace and other comfortable spaces conducive to sharing or solitary reflection. Comfortable rooms await you with a bed, closet, private bathroom and a sitting space for reading, journaling and reflection. 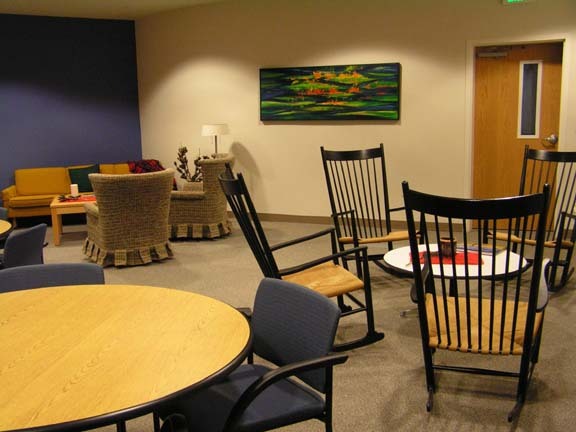 The community room is available for faith-based groups to hold retreats and meetings. Catering services are available. Beautiful walking paths surround the monastic grounds. The labyrinth, an ancient prayer path, is right off the road for your use. We offer several options to assist you in your spiritual journey. Some of the more popular requests are listed below. Schedule time to reflect on your spiritual journey with the support of a spiritual director, or on your own. Enjoy the prayerful environment of Annunciation Monastery, walk the peaceful paths and bask in the natural beauty surrounding Annunciation Monastery. Call Sister Gemma to make arrangements, 701.255.1520. 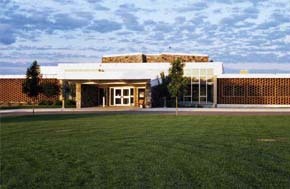 All events are held at the Annunciation Monastery Hospitality Center, which is located 4 miles south of the Bismarck airport on Highway 1804. Take the second exit on the right after the University of Mary exit. Look for our bell banner to the right as well. The monastery is located to the south of the bell banner.